Let’s Create a Sidewalk! | Miami Center for Architecture & Design, Inc.
You are at:Home»Events»Let’s Create a Sidewalk! 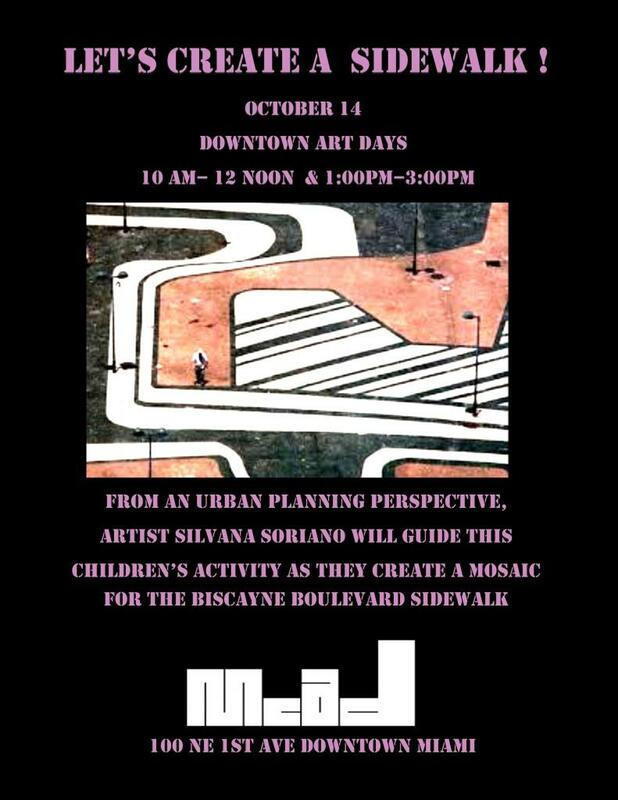 Inspired by Roberto Burle Marx’s Design for Biscayne Boulevard’s Sidewalk, children will create a mosaic from a big blue print (arranged on the floor) – a 16″x20″ paper – composed with foam square tiles, forms & coloring the sidewalk mosaic. At the end of the activity, they will put all works together as a puzzle to see the big blue print. Children will be allowed to take their work home.